A community candlelight vigil is being held on the evening of Tuesday 16 May 2017, 6pm to 7pm at Federation Square, Melbourne CBD. 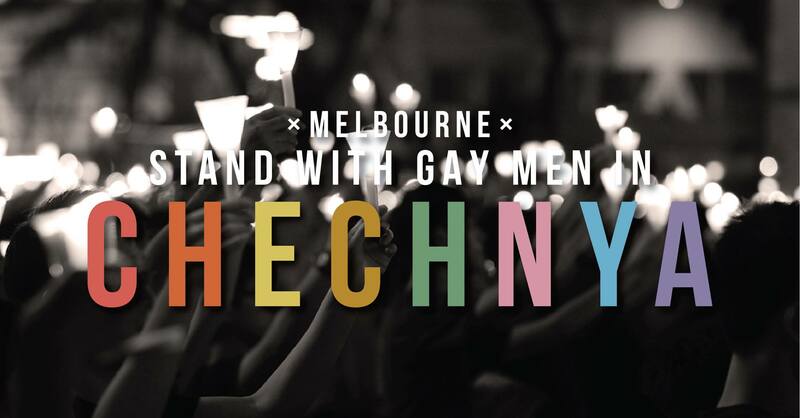 The AVP encourages Melbourne’s LGBTI community and allies to attend to demonstrate solidarity and support for the gay and bi men who have been abducted, tortured and killed in Chechnya and their friends and loved ones who’s lives are currently in grave danger. The vigil is being held the night before the International Day Against Homophobia, Transphobia and Biphobia (IDAHOBiT) on Wednesday 17 May. Bring an electronic candle & wear something pink!